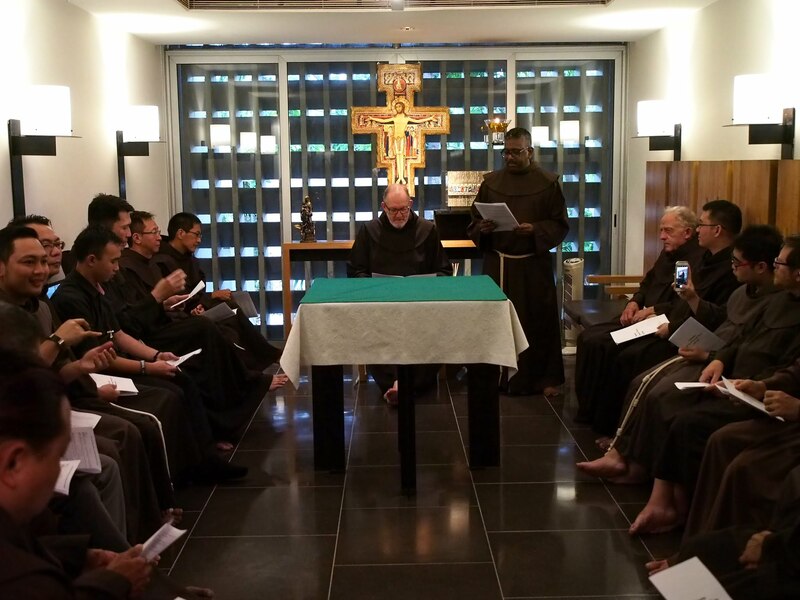 Prayer, fraternity and mission are the three pillars of our life as Franciscans. But prayer is where it begins. Each day we rise and remember our calling to praise God for his presence among us, in all of creation. Whether our communities are small or large, gathering for prayer is an essential part of our lives together. The Eucharist, the divine office, meditation, reading and reflection, spiritual accompaniment; these are just a few of the ways that we come to an ever greater awareness of God in our lives, of the footprint of God in our lives. We pray together, but we also enjoy prayerful solitude, time aside, time for reflection and for this growing awareness that God is among us and at the very heart of who we are as Franciscans.